The Pinarello Montello SLX was a landmark model for Pinarello and was the frame with which Pinarello achieved their first major pro victories such as the 1984 Olympics Road Race, Vuelta a España, the Giro d’Italia and stages of the Tour de France. 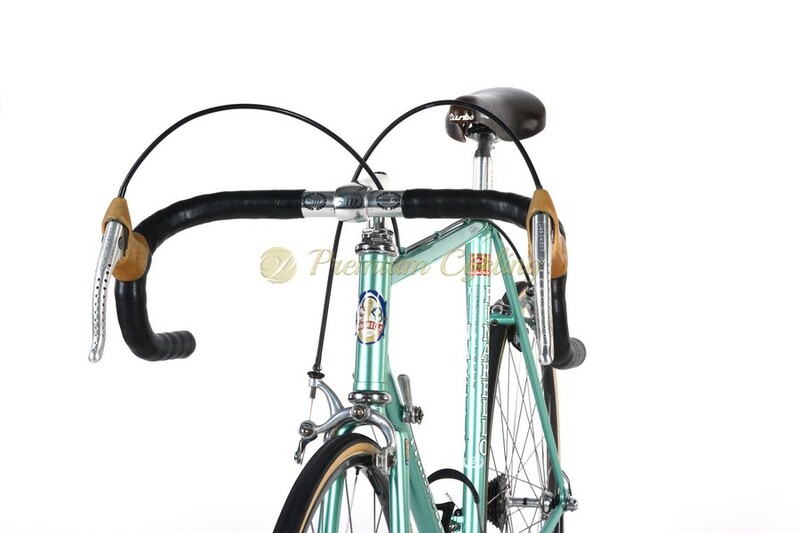 It was available in red, blue and Spumoni green color option. 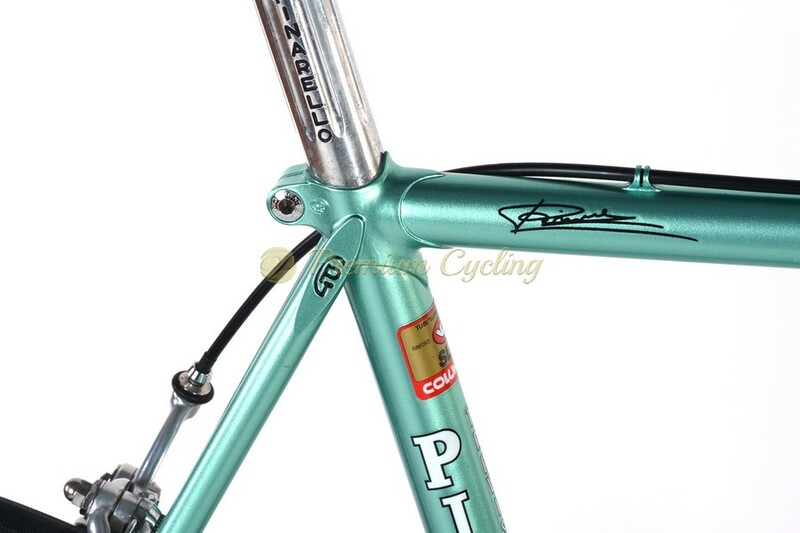 Happy to present another amazing looking steel beauty from 1984 – Pinarello Montello – build of Columbus SLX butted tubing with Pinarello’s special designed bottom bracket and shines in stunning Spumoni green paintjob. It’s easily to detect beautiful deatils as GP logo appeared in many locations as top of the fork crown, top of the bottom bracket and seat clamp. Like all our bikes also this one equiped with top of the line Campagnolo Super Record groupset and Mavic GP4 wheelseet in an amazing condition. For all Pinarello lovers. Great catch for any collector for a fair price. 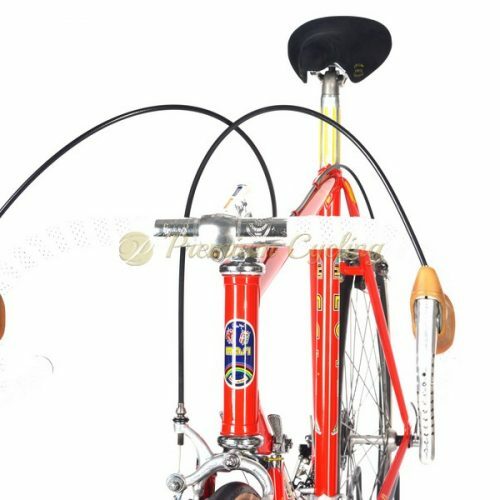 Ready for any historic cycling event. Condition: The frame was completely restored and refurbrised by professional guy, has no cracks, no dents and is not bend. Groupset and wheelset are in excellent condition.